Debris from the DC-10's fuselage photographed in 2004. Most of the wreckage of Flight 901 remains at the accident site. Air New Zealand Flight 901 (TE-901) [nb 1] was a scheduled Air New Zealand Antarctic sightseeing flight that operated between 1977 and 1979. The flight would leave Auckland Airport in the morning and spend a few hours flying over the Antarctic continent, before returning to Auckland in the evening via Christchurch. On 28 November 1979, the fourteenth flight of TE-901, a McDonnell Douglas DC-10-30, registration ZK-NZP, flew into Mount Erebus on Ross Island, Antarctica, killing all 237 passengers and 20 crew on board. The accident became known as the Mount Erebus disaster. Auckland Airport is the largest and busiest airport in New Zealand, with 19,387,627 passengers in the year ended October 2017. The airport is located near Mangere, a residential suburb, and Airport Oaks, a service hub suburb 21 kilometres (13 mi) south of the Auckland city centre. It is both a domestic and international hub for Air New Zealand, and as the New Zealand hub of Virgin Australia and Jetstar Airways. The initial investigation concluded the accident was caused by pilot error, but public outcry led to the establishment of a Royal Commission of Inquiry into the crash. The commission, presided over by Justice Peter Mahon QC, concluded that the accident was caused by a correction made to the coordinates of the flight path the night before the disaster, coupled with a failure to inform the flight crew of the change, with the result that the aircraft, instead of being directed by computer down McMurdo Sound (as the crew had been led to believe), was instead re-routed to a path toward Mount Erebus. Justice Mahon's report accused Air New Zealand of presenting "an orchestrated litany of lies" and this led to changes in senior management at the airline. Pilot error is a term historically used to describe a decision, action, or inaction by a pilot or crew of an aircraft that is determined to be the cause of, or a contributing factor in, an accident or incident. The term includes mistakes, oversights, lapses in judgment, gaps in training, adverse habits, and failures to exercise due diligence in a pilot's duties. Peter Thomas Mahon was a New Zealand High Court Judge, best known for his Commission of Inquiry into the crash of Air New Zealand Flight 901. His son, Sam Mahon is a well-known artist. The accident is New Zealand's deadliest peacetime disaster, as well as the deadliest accident in the history of Air New Zealand. The flight was designed and marketed as a unique sightseeing experience, carrying an experienced Antarctic guide who pointed out scenic features and landmarks using the aircraft public-address system, while passengers enjoyed a low-flying sweep of McMurdo Sound. The flights left and returned to New Zealand the same day. Christchurch International Airport is the main airport that serves Christchurch, New Zealand. It is located 12 kilometres (7.5 mi) to the northwest of the city centre, in the suburb of Harewood. Christchurch (Harewood) Airport officially opened on 18 May 1940 and became New Zealand's first international airport on 16 December 1950. It is the second busiest airport in New Zealand after Auckland by both annual passengers and aircraft movements. Christchurch along with Auckland are the only two airports in New Zealand to regularly handle Boeing 747 and Airbus A380 aircraft. The airport is curfew free operating 24 hours a day. Peter David Mulgrew was a New Zealand mountaineer, yachtsman and businessman. The flights usually operated at about 85% of capacity; the empty seats, usually the ones in the centre row, allowed passengers to move more easily about the cabin to look out of the windows. The General Electric CF6 is a family of high-bypass turbofan engines produced by GE Aviation. Based on the TF39, the first high-power high-bypass jet engine, the CF6 powers a wide variety of civilian airliners. The basic engine core also powers the LM2500, LM5000, and LM6000 marine and power generation turboshafts. The newer GEnx family has been introduced, intended to replace the CF6 family. All times are as at McMurdo Base: New Zealand Standard Time; UTC+12. Mainland New Zealand was running on New Zealand Daylight Time (UTC+13) at the time of the crash. Flight path of Flight 901. GPWS: "Whoop whoop. Pull up. Whoop whoop..."
FE: "500 feet (150 m)." FE: "400 feet (120 m)." GPWS: "Whoop, whoop. Pull up. Whoop whoop. Pull up." At 9:00 pm, about half an hour after the plane would have run out of fuel, Air New Zealand informed the press that it believed the aircraft to be lost. Rescue teams searched along the assumed flight path but found nothing. At 12:55 am the crew of a United States Navy aircraft discovered unidentified debris along the side of Mount Erebus. :4 No survivors could be seen. At around 9:00 am, twenty hours after the crash, helicopters with search parties managed to land on the side of the mountain. They confirmed that the wreckage was that of Flight 901 and that all 237 passengers and 20 crew members had been killed. The DC-10's altitude at the time of the collision was 1,465 feet (447 m). The vertical stabiliser section of the plane, with the koru logo clearly visible, was found in the snow. Bodies and fragments of the aircraft were flown back to Auckland for identification. The remains of 44 of the victims were not individually identified. A funeral was held for them on 22 February 1980. The recovery effort of Flight 901 was called "Operation Overdue". The fact that we all spent about a week camped in polar tents amid the wreckage and dead bodies, maintaining a 24-hour work schedule says it all. We split the men into two shifts (12 hours on and 12 off), and recovered with great effort all the human remains at the site. Many bodies were trapped under tons of fuselage and wings and much physical effort was required to dig them out and extract them. Initially, there was very little water at the site and we had only one bowl between all of us to wash our hands in before eating. The water was black. In the first days on site we did not wash plates and utensils after eating but handed them on to the next shift because we were unable to wash them. I could not eat my first meal on site because it was a meat stew. Our polar clothing became covered in black human grease (a result of burns on the bodies). We felt relieved when the first resupply of woollen gloves arrived because ours had become saturated in human grease, however, we needed the finger movement that wool gloves afforded, i.e., writing down the details of what we saw and assigning body and grid numbers to all body parts and labelling them. All bodies and body parts were photographed in situ by U.S. Navy photographers who worked with us. Also, U.S. Navy personnel helped us to lift and pack bodies into body bags which was very exhausting work. Later, the Skua gulls were eating the bodies in front of us, causing us much mental anguish as well as destroying the chances of identifying the corpses. We tried to shoo them away but to no avail, we then threw flares, also to no avail. Because of this we had to pick up all the bodies/parts that had been bagged and create 11 large piles of human remains around the crash site in order to bury them under snow to keep the birds off. To do this we had to scoop up the top layer of snow over the crash site and bury them, only later to uncover them when the weather cleared and the helos were able to get back on the site. It was immensely exhausting work. After we had almost completed the mission, we were trapped by bad weather and isolated. At that point, NZPO2 and I allowed the liquor that had survived the crash to be given out and we had a party (macabre, but we had to let off steam). The accident report compiled by New Zealand's chief inspector of air accidents, Ron Chippindale, was released on 12 June 1980. It cited pilot error as the principal cause of the accident and attributed blame to the decision of Collins to descend below the customary minimum altitude level, and to continue at that altitude when the crew was unsure of the plane's position. The customary minimum altitude prohibited descent below 6,000 feet (1,800 m) even under good weather conditions, but a combination of factors led the captain to believe the plane was over the sea (the middle of McMurdo Sound and few small low islands), and previous flight 901 pilots had regularly flown low over the area to give passengers a better view, as evidenced by photographs in Air New Zealand's own travel magazine and by first-hand accounts of personnel based on the ground at NZ's Scott Base. Mahon's report, released on 27 April 1981, cleared the crew of blame for the disaster. Mahon said the single, dominant and effective cause of the crash was Air New Zealand's alteration of the flight plan waypoint coordinates in the ground navigation computer without advising the crew. The new flight plan took the aircraft directly over the mountain, rather than along its flank. Due to whiteout conditions, "a malevolent trick of the polar light", the crew were unable to visually identify the mountain in front of them. Furthermore, they may have experienced a rare meteorological phenomenon called sector whiteout, which creates the visual illusion of a flat horizon far in the distance. (It appeared to be a very broad gap between cloud layers allowing a view of the distant Ross Ice Shelf and beyond.) Mahon noted that the flight crew, with many thousands of hours of flight time between them, had considerable experience with the extreme accuracy of the aircraft's inertial navigation system. Mahon also found that the pre-flight briefings for previous flights had approved descents to any altitude authorised by the US Air Traffic Controller (ATC) at McMurdo Station, and that the radio communications centre at McMurdo Station had indeed authorized Collins to descend to 1,500 feet (460 m), below the minimum safe level. In para. 377 of his report,  Mahon found  that airline executives and senior (management) pilots had engaged in a conspiracy to whitewash the inquiry, accusing them of "an orchestrated litany of lies" by covering up evidence and lying to investigators. Mahon found that in the original report Chippindale had a poor grasp of the flying involved in jet airline operation, as he (and the New Zealand CAA in general) was typically involved in investigating simple light aircraft crashes. Chippindale's investigation techniques were revealed as lacking in rigour, which allowed errors and avoidable gaps in knowledge to appear in reports. Consequently, Chippindale entirely missed the importance of the flight plan change and the rare meteorological conditions of Antarctica. Had the pilots been informed of the flight plan change, the crash would have been avoided. Mahon then appealed to the Privy Council in London against the Court of Appeal's decision. His findings as to the cause of the accident, namely reprogramming of the aircraft's flight plan by the ground crew who then failed to inform the flight crew, had not been challenged before the Court of Appeal, and so were not challenged before the Privy Council. His conclusion that the crash was the result of the aircrew being misdirected as to their flight path, not due to pilot error, therefore remained. They demolished his case (Mahon's case for a cover-up) item by item, including Exhibit 164 which they said could not "be understood by any experienced pilot to be intended for the purposes of navigation" and went even further, saying there was no clear proof on which to base a finding that a plan of deception, led by the company's chief executive, had ever existed. "Exhibit 164" was a photocopied diagram of McMurdo Sound showing a southbound flight path passing west of Ross Island and a northbound path passing the island on the east. The diagram did not extend sufficiently far south to show where, how, or even if they joined, and left the two paths disconnected. 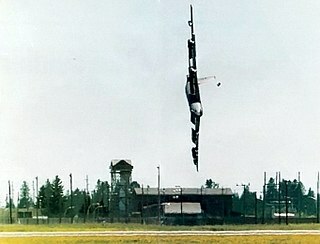 Evidence had been given to the effect that the diagram had been included in the flight crew's briefing documentation. Flight 901 was the third deadliest accident involving a DC-10, following Turkish Airlines Flight 981 and American Airlines Flight 191. 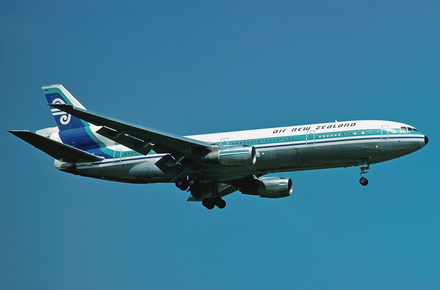 The event marked the beginning of the end for Air New Zealand's DC-10 fleet, although there had been talk before the accident of replacing the aircraft; DC-10s were replaced by Boeing 747s from mid-1981, and the last Air New Zealand DC-10 flew in December 1982. The occurrence also spelled the end of commercially operated Antarctic sightseeing flights – Air New Zealand cancelled all its Antarctic flights after Flight 901, and Qantas suspended its Antarctic flights in February 1980, only returning on a limited basis again in 1994. A television miniseries, Erebus: The Aftermath , focusing on the investigation and the Royal Commission of Inquiry, was broadcast in New Zealand and Australia in 1988. Justice Mahon's report was finally tabled in Parliament by the then Minister of Transport, Maurice Williamson, in 1999. In the New Zealand Queen's Birthday Honours list in June 2007 Captain Gordon Vette was awarded the ONZM (Officer of the New Zealand Order of Merit), recognising his services in assisting Justice Mahon during the Erebus Inquiry. Vette's book, Impact Erebus, provides a commentary of the flight, its crash and the subsequent investigations. The registration of the crashed aircraft, ZK-NZP, has not been reissued. Photograph of the Erebus Memorial at Waikumete Cemetery, Glen Eden, Auckland. January 2014. A wooden cross was erected on the mountain above Scott Base to commemorate the accident. It was replaced in 1986 with an aluminium cross after the original was eroded by low temperatures, wind, and moisture. American Airlines Flight 965, a flight which crashed into terrain after the pilots altered the coordinates. Aviateca Flight 901, a flight of the same number which also collided with a volcano. ↑ At the time of the crash, Air New Zealand had two IATA codes, TE for international flights (a relic from Air New Zealand's predecessor, Tasman Empire Airways Limited (TEAL)) and NZ for domestic flights (acquired from the merger with the National Airways Corporation in April 1978). Despite being domestic flights from an immigration point-of-view, the Antarctic flights used the TE code for logistical reasons. ↑ GPWS = Ground Proximity Warning System , CA = Captain , FO = First Officer , FE = Flight Engineer, CAM = Cockpit Area Micophone. United Airlines Flight 232 was a regularly scheduled United Airlines flight from Denver to Chicago, continuing to Philadelphia. On July 19, 1989, the DC-10 serving the flight crash-landed at Sioux City, Iowa, after suffering a catastrophic failure of its tail-mounted engine, which led to the loss of many flight controls. At the time, the aircraft was en route from Stapleton International Airport to O'Hare International Airport. Of the 296 passengers and crew on board, 111 died in the accident and 185 survived, making the crash the fifth-deadliest involving the DC-10, behind Turkish Airlines Flight 981, American Airlines Flight 191, Air New Zealand Flight 901, and UTA Flight 772. Despite the deaths, the accident is considered a prime example of successful crew resource management because of the large number of survivors and the manner in which the flight crew handled the emergency and landed the airplane without conventional control. Ronald "Ron" Chippindale was the Chief Inspector of Air Accidents in charge of the New Zealand Office of Air Accidents Investigations. Ansett New Zealand Flight 703 was an Ansett New Zealand scheduled passenger transport flight from Auckland Airport to Palmerston North. On 9 June 1995, the de Havilland Canada Dash 8 aircraft flying this route crashed into hilly terrain in the Tararua Ranges, 16 km east of Palmerston North airport, during an instrument approach in bad weather. The aircraft was carrying 18 passengers and three crew members. All passengers were New Zealand citizens except for one United States citizen. The flight attendant and three passengers died as a result of the crash. New Zealand National Airways Corporation Flight 441 (NZ441) was a scheduled flight of the New Zealand National Airways Corporation from Whenuapai, Auckland to Tauranga. On 3 July 1963 at approximately 9:09 am NZST the flight, a Douglas DC-3 Skyliner, flew into a vertical rock face in the Kaimai Ranges near Mount Ngatamahinerua, at an altitude of 2460 feet. Twenty three people were on board. Twenty two were killed instantly; there is evidence that one person survived the impact but died shortly afterward. Three extra passengers were supposed to be on the flight, but changed their plans at the last minute. Erebus: The Aftermath was a 1987 New Zealand television miniseries about Air New Zealand Flight 901, which crashed in Antarctica in 1979. The miniseries, a docudrama, was produced by Television New Zealand, and was broadcast in New Zealand and Australia. It was also aired by BBC 2 television in the UK. It was recently repeated by TVNZ to coincide with the 30th anniversary of the crash. Western Airlines Flight 2605, nicknamed the "Night Owl", was an international scheduled passenger flight from Los Angeles, California, to Mexico City, Mexico. On October 31, 1979, at 5:42 a.m. CST (UTC−06:00), the aircraft used for the flight, a McDonnell Douglas DC-10, crashed at Mexico City International Airport in fog, after landing on a runway closed for maintenance. Of the 88 people on board, 72 were killed in the crash; and one person on the ground, a maintenance worker, also died when the plane struck his vehicle. XL Airways Germany Flight 888T (GXL888T) was an Airbus A320 which crashed into the Mediterranean Sea, 7 km off Canet-en-Roussillon on the French coast, close to the Spanish border, on 27 November 2008. The aircraft was on a flight test for which it had taken off from Perpignan - Rivesaltes Airport, made an overflight of Gaillac and was flying back to Perpignan Airport, doing an approach over the sea. The flight took place immediately following light maintenance and repainting to Air New Zealand livery on the aircraft, done in preparation for its transfer from XL Airways Germany, which had been leasing it, to Air New Zealand, the owner. Tourism in Antarctica started by the sea in the 1960s. Air overflights of Antarctica started in the 1970s with sightseeing flights by airliners from Australia and New Zealand, and were resumed in the 1990s. The (summer) tour season lasts from November to March. Most of the estimated 14,762 visitors to Antarctica in 1999-2000 were on sea cruises. During the 2009 to 2010 tourist season, over 37,000 people visited Antarctica. On 22 December 1978, a small Cessna 188 aircraft, piloted by Jay Prochnow, became lost over the Pacific Ocean. The only other aircraft in the area that was able to assist was a commercial Air New Zealand flight. After several hours of searching, the crew of the Air New Zealand flight located the lost Cessna and led it to Norfolk Island, where the plane landed safely. On 7 January 2012, a scenic hot air balloon flight from Carterton, New Zealand, collided with a high-voltage power line while attempting to land, causing it to catch fire, disintegrate and crash just north of the town, killing all eleven people on board. Alwyn Gordon Vette was a New Zealand airline captain best known for his involvement in the Cessna 188 Pacific rescue and his research into the cause of the Air New Zealand Flight TE-901 crash. He spent five years in the Royal New Zealand Air Force (RNZAF) and 55 years as a commercial pilot. Vette was portrayed by Roy Billing in the 1988 miniseries Erebus: the Aftermath, which recounts Vette's research into the cause of the Mount Erebus Disaster; and by Robert Loggia in the 1993 TV movie Mercy Mission: the Rescue of Flight 771, which recounts Vette's experiences piloting Air New Zealand Flight 103. 1 2 Accident descriptionfor ZK-NZP at the Aviation Safety Network . Retrieved on 24 August 2011. ↑ "DC-10 playbacks awaited". Flight International : 1987. 15 December 1979. Archived from the original on 24 January 2013. At press time no information had been released concerning the flightdata and cockpit-voice recorder of Air New Zealand McDonnell Douglas DC-10 ZK-NZP which crashed on Mount Erebus on 28 November. 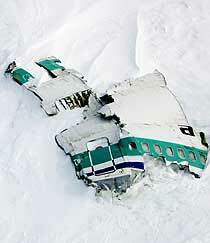 1 2 3 4 5 6 7 "Mt Erebus Plane Crash: DC-10 ZK-NZP, Flight 901". Christchurch City Libraries. Archived from the original on 24 January 2013. "Visitors to Antarctica – There and Back in a Day". Archived from the original on 24 January 2013. "Footnotes" (PDF). Archived (PDF) from the original on 24 January 2013. ↑ "RBNZ – New Zealand Inflation Calculator". ↑ "Erebus disaster". NZ History. 9 June 2009. ↑ Hickson, Ken (1980). Flight 901 to Erebus. Whitcoulls Publishers. ISBN 978-0-7233-0641-2. 1 2 Mahon, Peter (1984). Verdict on Erebus. Collins. ISBN 0-00-636976-6. ↑ "Erebus flight briefing". New Zealand History online. Ministry for Culture and Heritage. Archived from the original on 4 November 2013. ↑ "Erebus crash site map – NZhistory.net.nz" . Retrieved 2 December 2009. ↑ "2. Analysis" (PDF). Chippindale Report. p. 29. ↑ "cvr 791128". planecrashinfo.com. Retrieved 2019-04-13. ↑ Transport Accident Investigation Commission (1980). "AIRCRAFT ACCIDENT REPORT No. 79-139: Air New Zealand McDonnell-Douglas DC10-30 ZK-NZP, Ross Island, Antarctica, 28 November 1979" (PDF). Wellington, New Zealand: Office of Air Accidents Investigation, Ministry of Transport. Archived from the original (PDF) on 24 January 2013. ↑ Robertson, David. Air NZ likely to switch to 747s. The Sydney Morning Herald : 30 November 1979, p. 2. ↑ "Erebus Roll of Remembrance" . Retrieved 5 November 2009. "US Navy SITREP from 28 November 1979 (page 1 of 5)". Archives New Zealand. Archived from the original on 24 January 2013. Retrieved 3 December 2017. "US Navy SITREP from 28 November 1979 (page 2 of 5)". Archives New Zealand. Archived from the original on 24 January 2013. "US Navy SITREP from 28 November 1979 (page 3 of 5)". Archives New Zealand. Archived from the original on 24 January 2013. "US Navy SITREP from 28 November 1979 (page 4 of 5)". Archives New Zealand. Archived from the original on 24 January 2013. "US Navy SITREP from 28 November 1979 (page 5 of 5)". Archives New Zealand. Archived from the original on 24 January 2013. ↑ "Erebus flight overdue = NZHistory.net.nz" . Retrieved 1 December 2009. ↑ Bill Spindler. "Air New Zealand DC-10 crash into Mt. Erebus" . Retrieved 11 July 2006. ↑ Rejcek, Peter (2 July 2009). "Erebus Medals". The Antarctic Sun. Archived from the original on 7 February 2011. ↑ "Captain Vette's Research" . Retrieved 1 December 2009. ↑ "A dark passage in NZ history – tvnz.co.nz". 23 October 2009. Archived from the original on 21 November 2009. Retrieved 2 December 2009. 1 2 "The Honourable Peter Thomas Mahon (Appeal No. 12 of 1983) v Air New Zealand Limited and Others (New Zealand) 1983 UKPC 29 (20 October 1983)" (PDF). BAILII. 20 October 1983. ↑ "The Mahon Report". The Erebus Story. Retrieved 23 April 2017. ↑ Ministry for Culture and Heritage. "Erebus disaster Page 6 – Finding the cause". New Zealand History. Retrieved 5 July 2017. ↑ "The Honourable Peter Thomas Mahon (Appeal No. 12 of 1983) v Air New Zealand Limited and Others (New Zealand) 1983 UKPC 29 (20 October 1983)" (PDF). BAILII. 20 October 1983. ↑ "Fire on the Cospatrick". Te Ara: The Encyclopedia of New Zealand . Retrieved 12 May 2013. ↑ John Wilson, The voyage out - Fire on the Cospatrick, from Te Ara: The Encyclopedia of New Zealand. Updated 2007-09-21. Accessed 2008-05-20. ↑ "Quake will rank among worst disasters". ↑ Spitzer, Aaron (28 November 1999). "Antarctica's darkest day" (PDF). The Antarctic Sun. Archived from the original (PDF) on 4 March 2016. ↑ "Erebus disaster Page 1 – Introduction". New Zealand History. New Zealand Ministry for Culture and Heritage. 15 August 2014. Retrieved 11 May 2015. ↑ "Air NZ apologises for Mt Erebus crash". The Age . Wellington. 24 October 2009. Archived from the original on 28 November 2012. ↑ North, David M. (1979-06-12). "DC-10 Type Certificate Lifted". Aviation Week & Space Technology . Retrieved 2018-08-09. ↑ Endres, Günter (1998). McDonnell Douglas DC-10. Saint Paul: MBI Publishing Company. ISBN 0-7603-0617-6. ↑ "TE901 debris reappears on icy slopes of Erebus". NZ Herald. 2005-06-02. ISSN 1170-0777 . Retrieved 2018-04-10. ↑ "Banshee Reel". Archived from the original on 25 October 2009. Retrieved 19 November 2007. "a famous quote from NZs recent political past"
↑ "BREAKING NEWS – FEBRUARY 2004". Citizens for Health Choices. February 2004. Archived from the original on 22 November 2007. Retrieved 19 November 2007. "To quote a well-known phrase, there has been 'An orchestrated litany of lies'"
↑ "Background Comments on the Stent Report". PSA. April 1998. Archived from the original (DOC) on 2007-10-07. Retrieved 19 November 2007. "...a phrase that is likely to resound as did 'an orchestrated litany of lies' in another investigation"
↑ "NZ to resume commercial flights to Antarctica". Traveller Online. Retrieved 7 December 2018. ↑ "Mahon posthumously awarded". stuff.co.nz. 1 December 2008. Archived from the original on 12 May 2009. Retrieved 12 May 2009. ↑ Address from Rob Fyfe, Air New Zealand CEO, at Unveiling of Momentum Sculpture Archived 1 March 2010 at the Wayback Machine , Air New Zealand press release, 23 October 2009. ↑ Fox, Michael (23 October 2009). 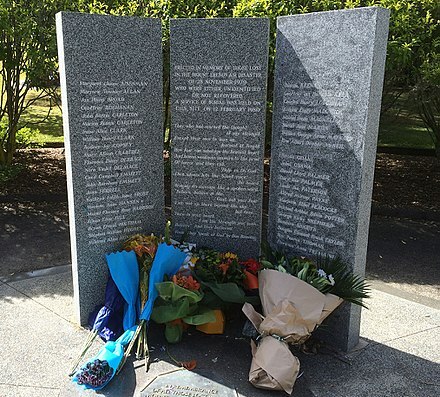 "Air New Zealand apology 30 years after Erebus tragedy". Stuff.co.nz. Retrieved 15 November 2009. ↑ "Waikumete Cemetery Public Memorial" . Retrieved 1 December 2009. ↑ "Crew Memorial at Auckland Airport" . Retrieved 1 December 2009. ↑ "Memorial placed at Mt Erebus crash site". Television New Zealand . 21 January 2010. Retrieved 16 September 2011. ↑ "Ballot drawn for Remembrance flight to Antarctica". Air New Zealand. 30 September 2010. Archived from the original on 6 December 2010. Retrieved 21 November 2010. NZAVA Operation Deep Freeze – The New Zealand Story, 2002. Wikimedia Commons has media related to Air New Zealand Flight 901 . "Antarctic crash crew "misled by management"". Flight International . 119 (3757): 1292. 9 May 1981. Archived from the original on 20 October 2012. Erebus for Kids–This site is for young school children to provide information about the Erebus Tragedy. "Jim Tucker: The man who chronicled "Litany of Lies"". Stuff/Fairfax. 21 December 2017.